April 23rd is a day to honor Earth for giving us life. Even though Earth Day should be everyday, it is a good opportunity to remind people that Earth is everybody's only home, therefore is our duty to take care of her. 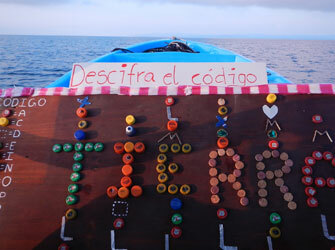 In Puerto Jiménez, the town across the gulf from Playa Nicuesa, a big event dedicated to our Mother Earth took place. With the help of different lodges around the area -such as Playa Nicuesa-, local volunteers and schools, ‘ASCONA' (an NGO dedicated to promote environmental awareness and ensuring sustainable development for future generations) organized a big celebration for this year Earth Day. The idea of the event was to create understanding of the environmental problems that threaten the Osa Peninsula-GolfoDulce Region, while bringing together the community through dancing, food, games and more. 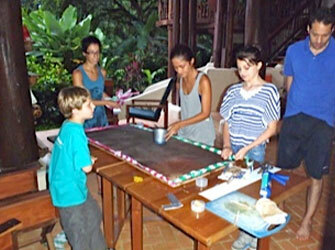 Different activities took place in Puerto Jimenez. A soccer tournament in the local field kept the athletic ones busy. Meanwhile, dancing, games for kids, painting and different workshops on how to make arts and crafts with recyclable materials were attracting people to the local library. 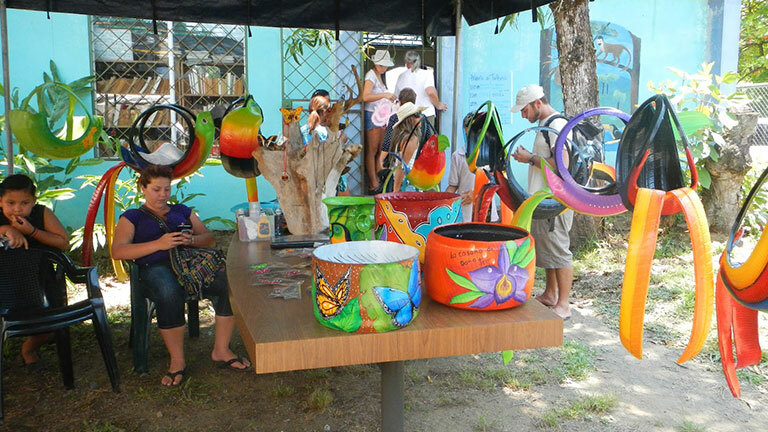 Guests from Playa Nicuesa Rainforest Lodge (PNRL) had the chance to visit Puerto Jimenez during this event. They enjoyed the typical food and dance and even had the opportunity to buy presents for their families and friends from the local artisans. 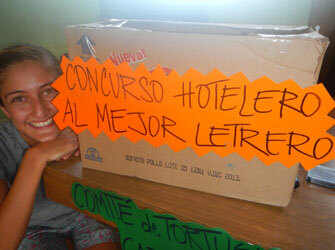 As Playa Nicuesa's Sustainability Coordinator, I was in charge of organizing a contest between the eco-lodges: "El concurso hotelero al mejor letrero" (The hotel contest for the best for the best sign-design). The idea was to create a sign with an environmental message made out of only wastes, so that people can understand that waste doesn't have to mean garbage if you have a creative mind. Anderson family helping with our Sign-Design! Discovering the message behind the code…! In the lodge everybody engaged with the contest. 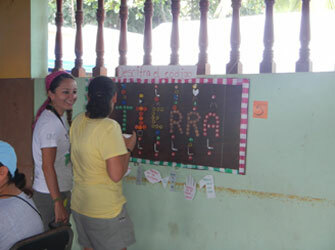 Employees and guest helped in the creation of the sign. The Anderson family helped us create code with recyclable material to represent letters, so our sign was not only a sign, but it was also a puzzle.During the Earth day celebration lots of people had fun trying to discover the message behind the code. Playa Nicuesa was one of 6 lodges that submitted signs. And, after 121 votes from the community were cast and counted, PNRL WON first place! Nicuesa Sign in the way to Puerto Jiménez! During the afternoon the people enjoyed capoeira: a Brazilian marcial art. For the intellectual ones, we also had a debate on "Sustainable Development of the Osa Peninsula", as well as a very informative presentation on the "Conservation of Wildcats" in the area done by the NGO Yaguará. One of the main goals of Yaguará is to protect the Jaguar (3rd biggest wildcat in the world! ), which is one of the most endangered species of Osa. The Earth Day Celebration was not only an educational event to create consciousness in people about environmental problems; it was also an opportunity to bring the community together. A big "Thank You!" to ASCONA who organized the event and to all the people that collaborated and helped making this event a success as it was. Playa Nicuesa looks forward to supporting and participating in next year's event! Look in our Facebook page for more pictures of this day!